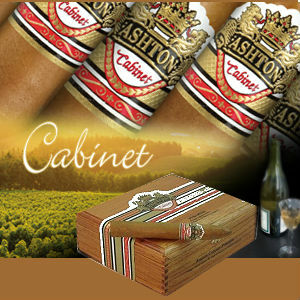 Featuring a legendary, aged, Connecticut Shade wrapper Ashton Cabinet Selection Cigars get its rich taste from the aging grape in French oak barrels (much like Second Growth Cigars.) In fact, the entire process from seed to the finished product, last a whopping seven (7) years. So if you are looking for a creamy, well rounded and smooth cigar, then look no further. Grab a box of any of the Ashton Cabinet Selection Cigars and let us know what you think of its "big finish."